The answer is a resounding no, because, well, brains are more sophisticated than that. A study published in Nature Neuroscience earlier this year shows that instead of just crowding in, old information is sometimes pushed out of the brain for new memories to form. This article was written by Fiona Kumfor, Neuroscience Research Australia and Sicong Tu, Neuroscience Research Australia and is reproduced here under a Creative Commons Attribution No Derivatives license. Previous behavioural studies have shown that learning new information can lead to forgetting. But in this study, researchers used new neuroimaging techniques to demonstrate for the first time how this effect occurs in the brain. The paper’s authors set out to investigate what happens in the brain when we try to remember information that’s very similar to what we already know. This is important because similar information is more likely to interfere with existing knowledge, and it’s the stuff that crowds without being useful. To do this, they examined how brain activity changes when we try to remember a “target” memory, that is, when we try to recall something very specific, at the same time as trying to remember something similar (a “competing” memory). Participants were taught to associate a single word (say, the word sand) with two different images – such as one of Marilyn Monroe and the other of a hat. They found that as the target memory was recalled more often, brain activity for it increased. Meanwhile, brain activity for the competing memory simultaneously weakened. This change was most prominent in regions near the front of the brain, such as the prefrontal cortex, rather than key memory structures in the middle of the brain, such as the hippocampus, which is traditionally associated with memory loss. 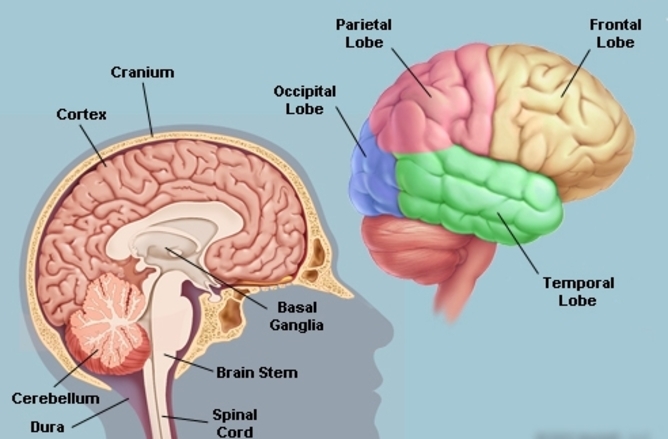 The prefrontal cortex is involved in a range of complex cognitive processes, such as planning, decision making, and selective retrieval of memory. Extensive research shows this part of the brain works in combination with the hippocampus to retrieve specific memories. If the hippocampus is the search engine, the prefrontal cortex is the filter determining which memory is the most relevant. This suggests that storing information alone is not enough for a good memory. The brain also needs to be able to access the relevant information without being distracted by similar competing pieces of information. In daily life, forgetting actually has clear advantages. Imagine, for instance, that you lost your bank card. The new card you receive will come with a new personal identification number (PIN). Research in this field suggests that each time you remember the new PIN, you gradually forget the old one. This process improves access to relevant information, without old memories interfering. And most of us will be able to identify with the frustration of having old memories interfere with new, relevant memories. Consider trying to remember where you parked your car in the same carpark you were at a week earlier. This type of memory (where you are trying to remember new, but similar information) is particularly susceptible to interference. When we acquire new information, the brain automatically tries to incorporate it within existing information by forming associations. And when we retrieve information, both the desired and associated but irrelevant information is recalled. If the hippocampus is the search engine, the prefrontal cortex is the filter determining which memory is the most relevant. The majority of previous research has focused on how we learn and remember new information. But current studies are beginning to place greater emphasis on the conditions under which we forget, as its importance begins to be more appreciated. A very small number of people are able to remember almost every detail of their life in great detail; they have hyperthymestic syndrome. If provided with a date, they are able to tell you where and what they were doing on that particular day. While it may sound like a boon to many, people with this rare condition often find their unusual ability burdensome. Some report an inability to think about the present or the future, because of the feeling of constantly living in the past, caught in their memories. And this is what we all might experience if our brains didn’t have a mechanism for superseding information that’s no longer relevant and did indeed fill up. At the other end of the spectrum is a phenomenon called “accelerated long-term forgetting”, which has been observed in epilepsy and stroke patients. As the name suggests, these people forget newly learnt information at a much faster rate, sometimes within a few hours, compared to what’s considered normal. It’s believed this represents a failure to “consolidate” or transfer new memories into long-term memory. But the processes and impact of this form of forgetting are still largely unexplored. What studies in this area are demonstrating is that remembering and forgetting are two sides of the same coin. In a sense, forgetting is our brain’s way of sorting memories, so the most relevant memories are ready for retrieval. Normal forgetting may even be a safety mechanism to ensure our brain doesn’t become too full. Fiona Kumfor is Postdoctoral fellow at Neuroscience Research Australia. Sicong Tu is PhD Candidate at Neuroscience Research Australia.